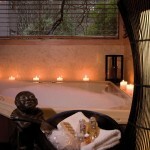 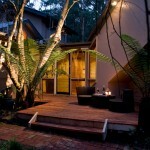 The Garden Retreat is two levels of luxury. 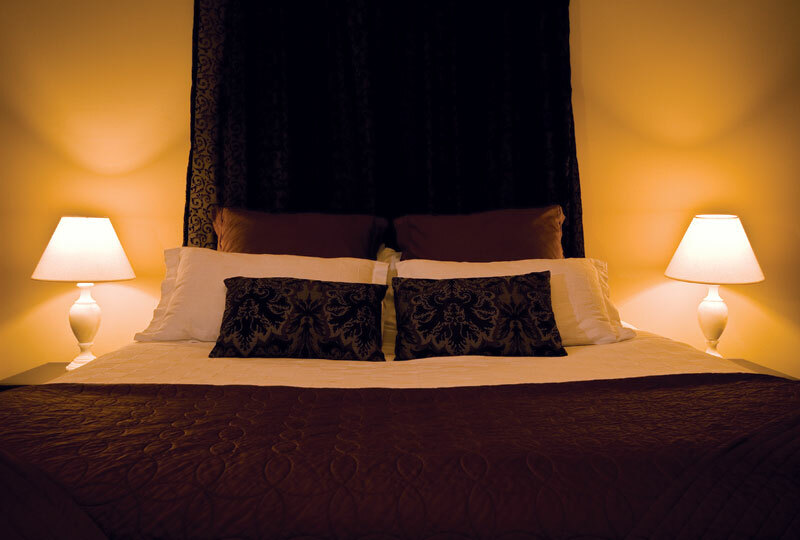 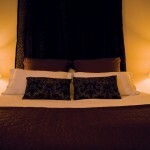 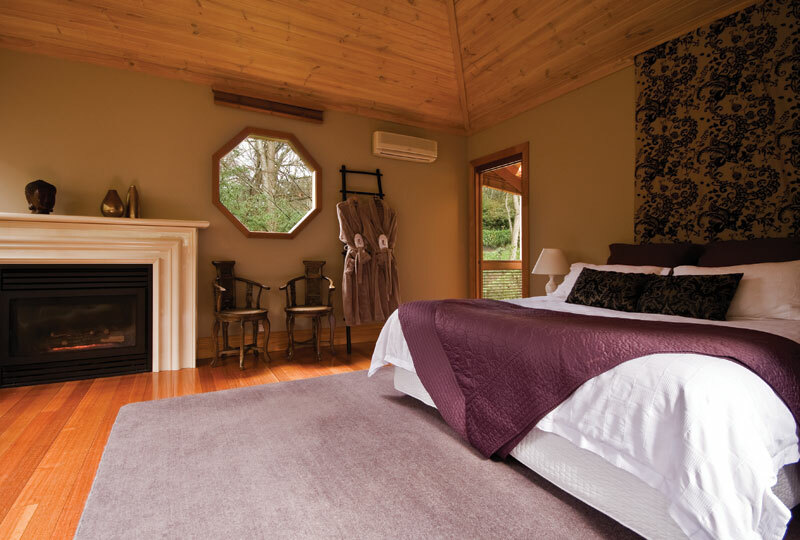 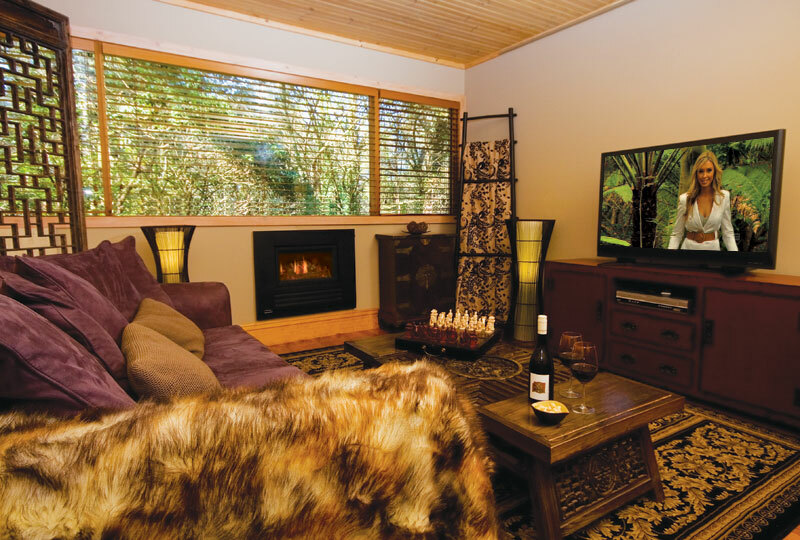 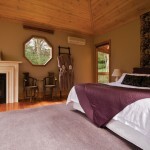 Your king bedroom is on the upper level with gas log fire and huge windows taking in the gardens and forest. 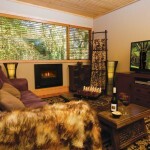 The lower level is your private lounge with huge sofas to sink in, gas log fire and two person spa. 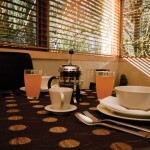 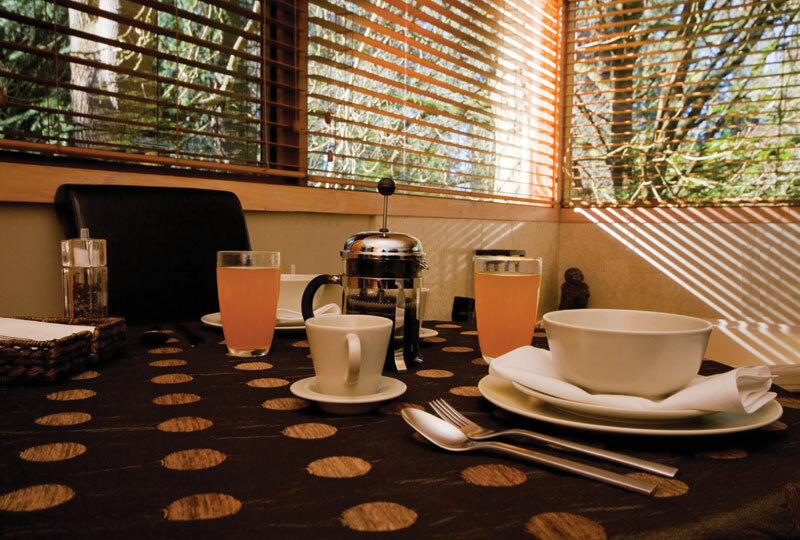 All bookings are inclusive of full room service cooked breakfast for 2 each morning (with vegetarian & vegan options also available). 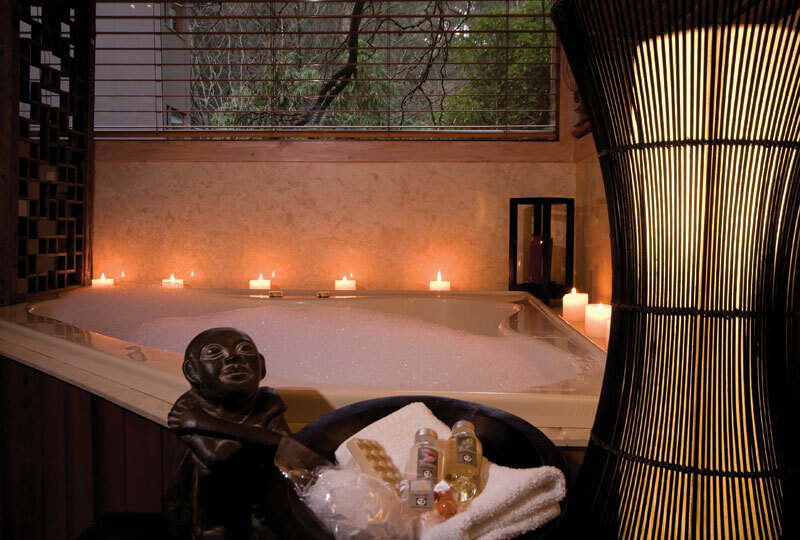 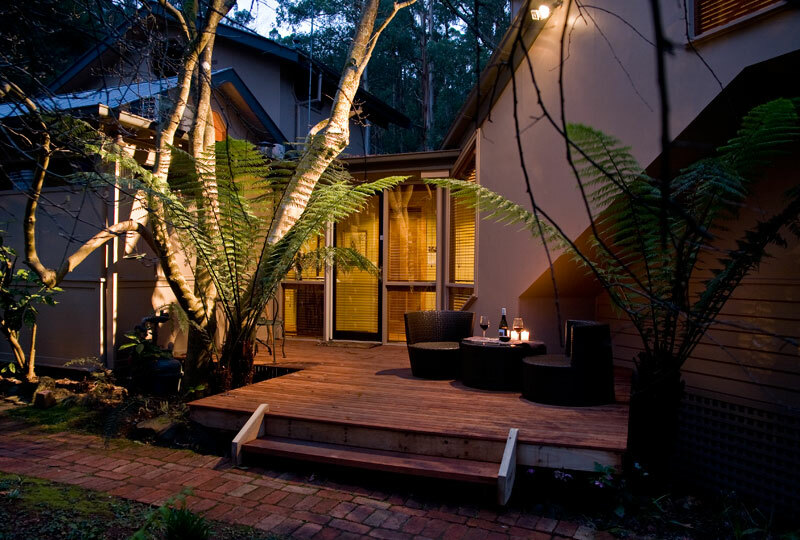 Please note Linden Gardens has some steps leading to retreats & to reception, and this retreat includes stairs from the lounge & spa level to the bedroom level.